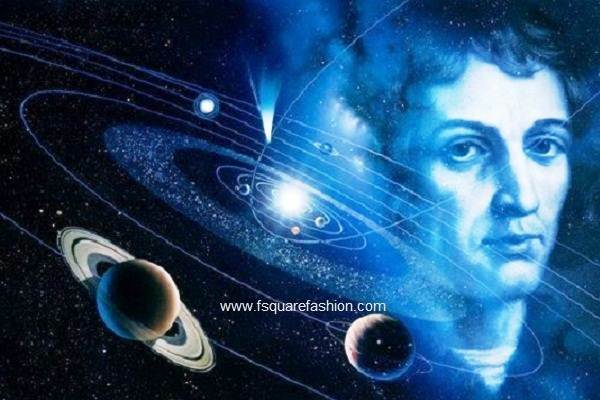 Nicolaus Copernicus rocked the church with his heliocentric view of the Solar System. Theologians, both supporting and opposing women’s ordination, have claimed ‘Scripture alone’ as a basis for their arguments. We Lutherans pay particular attention to such arguments as we hold Scripture as central, but the conflicting arguments for and against any issue, both adhering to ‘scripture alone’, make the term less convincing. ‘Scripture alone’ is well and good if you are arguing for something embracing, tolerant and uplifting – however, to do this, you need to strategically ignore many Old Testament terrifying passages. (Consider this theologian’s reflection on his 20year old understanding of his faith.) However, a simple understanding of ‘scripture alone’ has disturbing implications when used to uphold power structures and difference, for they are the foundations of misogyny, sexual abuse and domestic violence. ‘Scripture alone’ implies that Scripture has all that is necessary for us to decide on matters of contemporary life. We suggest, on the contrary, that Scripture needs interrogating to find the core truths and to find the cultural unnecessary baggage. Such interrogation is assisted with the tools of hermeneutics. ecological issues. “Subdue all the Earth” (Gen 1:28) was never going to be enough when it came to 20th Century environmental excesses. creation and evolution. Today the LCA accepts differing views about creation and evolution. the Copernican heliocentric model of the Solar System, where the Earth is no longer the centre of the Universe. In 1616 the Inquisition declared heliocentrism to be formally heretical. Galileo was sentenced to house arrest where he died nine years later. It took some time for the church to decide that theology and science were no longer mutually exclusive. slavery. “Slavery in various forms has been a part of the social environment for much of Christianity’s history, spanning well over eighteen centuries.” Ref: Wikipedia. Surprisingly, there are still some Lutherans who claim that slavery was not as bad as it is made out to be. women’s ordination. This Wikipedia page lists the myriad steps towards women’s equality in the Christian Church as well as other traditions. It’s worth a browse, but it’s too much to absorb in one reading. Now, it’s probably harsh of us if we condemn the church of old for its theology and action when knowledge was not what it is today, but you can’t have it both ways. You can’t use ‘Scripture alone’ and yet rely on the benefits of the modern world (including science, research, medicine, democracy). Either you have it completely correct by just using Scripture, in the tradition of the Amish, or you rely on society, culture and science to help you in your quest to understand God in Scripture. Which is it? The reality is that our knowledge of the world and the structure of the universe is changing. We are intimately entwined with the world’s understandings, its social structures and its interpretations of justice. When we are shielded from society we are blinkered, dangerous in our certainty and even sect-like. Revelation is progressive and also comes through our secular citizens – not so shocking if we accept that God loves and works through us all, even if we are unaware of God’s grace. While we can accept the principled theological intentions of the term, ultimately Scripture is not the only word on matters of contemporary importance, including the position of women in the LCA. We thank God for academics, researchers, philosophers, scientists, educators, doctors, social scientists, astronomers… That’s what makes society so rich. Without embracing the growing wisdom from these disciplines and professions we are a reduced people. 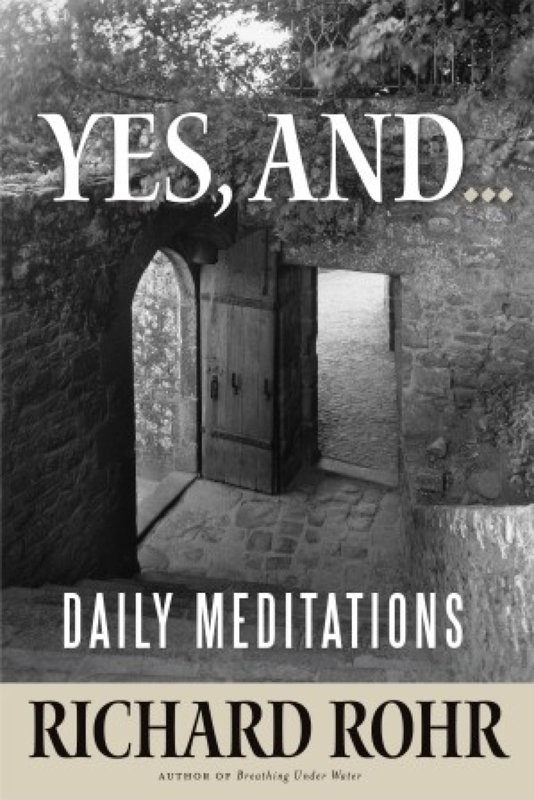 Richard Rohr reminds us of the ‘yes and no’ approach to Bible study, learned from Jewish tradition, where it was called midrash. In community we learn from each other and respond to invitations to go in different directions by those in our midst. Yes . . . and . . .
We can live with each other. In fact, we must. We are family – a family of diverse experience and world view. We can love each other and not pretend that we are identical. We are, after all, not so different to the sit-coms that have family seated around the Christmas table, rubbing up against each others prejudices and making faux pas to be laughed about in coming years. By loving each other in our difference, we will grow together toward places yet unimagined. God’s work is surely not complete – there is more in store for each of us. While it’s not short it’s worth the read. The mission of the church is clear: (i) preach the gospel (ii) baptise people in the name of the Father and of the Son and of the Holy Spirit (Matt 28:18-19 and Mark 16:15-16) and, (iii) Do this in remembrance of me – celebrate the Lord’s Supper (Matt 25: 26-30, Mark14: 22-26, Luke 22:14-21, 1 Cor 11:23-26). These commands are essential for the Office of the Holy Ministry because through these means of grace, that is, the Word and sacraments, God gives the Holy Spirit who works the gift of saving faith when and where he pleases in those who hear the Gospel (Augsburg Confession Articles IV and V). From this source springs the life of faith, hope and love, the new obedience, the life of the church (Article VI). The focus in Articles IV, V and VI is the salvific work of the Holy Trinity who chooses to work in Word and sacraments ministry. As we reflect on the development and formulation of the Confessions it becomes clear everything previously known and experienced in the spiritual and social life of the late medieval church was consistently drawn and coherently evaluated in the light of what we now call the material principle and the formal principle. These principles are not doctrines per se. They are theological means, or auxiliary theological tools, a theological compass which enables exegetes to distinguish between Law and Gospel and rightly apply the meaning of a text to the life of the church. With this theological compass the reformers made radical pastoral decisions. Seven sacraments were reduced to two: Baptism and the Lord’s Supper. The notion of theocracy, that is, the inseparable unity of church and state as was expressed in the Holy Roman Empire was rejected, leaving us with the legacy of the doctrine of the two-kingdoms which differentiates the way God works through the state and the church. Hierarchical distinctions between clergy and laity disappeared. Distinctions which formed the very foundations for the structure and wealth distribution in late medieval society were rejected. Fasting, liturgical practices, images in church buildings, marriage of the clergy, the question whether nuns could marry, plus other long established traditions were evaluated by drawing them (ducere – Latin: to lead or guide) under the guiding light of the distinction between Law and Gospel. The doctrine of justification by grace though faith in Christ was the hermeneutical touchstone, the theological compass which gave the reformers such clarity of insight, that it enabled them to make discerning judgements about the very words of Scripture. They were able to exercise pastoral judgments which shaped the future life of the church. When examining any issue they could conclude: this is necessary for salvation while this is not necessary for salvation. The process finally gave us our Confessions. The primary purpose of including the three articles of the Creed is to establish a theological connection between the doctrine of justification by faith alone (Article IV) and the way God himself has revealed and opened to us the utmost profound depths of his fatherly heart, his sheer, unutterable love, thereby establishing a further connection between redemption and sanctification, based upon the Father’s favour and grace in Christ who is a mirror of the Father’s heart. There is a theological coherence in the way the reformers have organised the structure of The Augsburg Confession around this theological compass, namely, the doctrine of justification by faith alone. It can be anticipated that this theme will also be the central focus of Article V.
All throughout the Confessions we see how reliant and respectful the reformers were towards the Scriptures. In their theological perspective the Holy Trinity works through the means of grace, that is, the Word and sacraments in order to create saving faith. Thereafter the Reformers were confident in evaluating the inspired text by examining the meaning of various scriptural passages (formal principle) in the light of the gospel (material principle). The Scriptures must not be interpreted in ways which disregard the gospel thereby burdening consciences, and the gospel must not be understood and used to divorce the work of the Holy Trinity from the Scriptures. This enabled them to conclude: this is necessary for salvation because it is necessary for the proclamation of justification by grace through faith in Christ alone, while this church tradition is not necessary for salvation and remains in the arena of the freedom of the gospel. A careful distinction had to be made between doing those things which were essential for the proclamation of the gospel, namely, preaching the Word and administering the sacraments, and those things which lay in the arena of the freedom of the gospel, namely human traditions (Apology Article XIV). It naturally follows that the doctrine of justification by faith must become the centre of gravity for church unity. For the true unity of the church it is enough to agree concerning the teaching of the Gospel and the administration of the sacraments. It is not necessary that human traditions or rites and ceremonies, instituted by men, should be alike everywhere (The Augsburg Confession Article VII). Diverse ways of interpreting and applying the same texts can result from a common affirmation that Scripture is the ‘divinely inspired, written and inerrant Word of God and the only infallible source and norm for all matters of faith, doctrine and life’ (Article II, LCA Constitution). Clearly, affirming the formal principle, does not guarantee consensus, as is all too clear in our LCA when we think of the two schools of thought regarding the ordination of women. These two schools of thought do not result from a fundamental difference about the divine inspiration of the written and inerrant Word of God as the only infallible source and norm for all matters of faith, doctrine and life. This is evidenced in all the written material produced over the past thirty years. We can see a mutual and abiding love and a deep respect for the Word. The diligence and humility that has marked our exegetical journey through the Word examining this matter has been extraordinary in its depth, detail and scope. Inseparable from the formal principle, yet in clear distinction from it, is the central message of the gospel, the forgiveness of sins, the cross of Christ, the joyful certainty of justification by grace through faith in Christ alone. Later Lutheran theologians would refer to it as the material principle. The Augsburg Confession Article V tells us God instituted the Office of the Ministry thereby providing the gospel and the sacraments in order that we may obtain this saving faith. At this point we do not find any difference in the two schools of thought in our LCA. Both agree that the Office of the Ministry is a gift from God for the purpose of proclaiming the Word and administering the sacraments in order to obtain justifying faith. There is mutual consensus about the centrality of the cross in the two schools of thought. In addition to Augsburg Confession Article V Office of the Ministry, the Theses of Agreement VI par 11 utilises two texts 1 Cor 14:33b-38 and 1 Tim 2: 11-14 to support a male-only view on ordination. These texts are not referred to by the reformers throughout the Lutheran Confessions: The Augsburg Confession (1530) The Apology of the Augsburg Confession (1531) The Smaldcald Articles (1537) The Treatise on the Power and Primacy of the Pope (1537) The Small Catechism (1529) The Large Catechism (1529) The Formula of Concord 1577). This is significant. Their central concern was not a gender issue in relation to the office of the ministry  but a pastoral theological issue: how does a person obtain this justifying faith they so eloquently described in Article IV, the kind of faith which brings forth the good fruit and good works they so eloquently praised in Article VI. Their answer is: Article V. The focus of Article V is the salvific work of the Holy Trinity, God, Father, Son and Holy Spirit through the Word and sacraments. In referring to two texts (1 Cor 14:33b-38 and 1 Tim 2: 11-14), Thesis VI par 11 is pointing to a scriptural foundation for the historic practice of male-only ordination by tracing it back to St Paul and Christ: in prohibiting the ordination of women the church is understood to obey a command of Christ. In the view of the male-only ordination school of thought, these two texts are to be interpreted as necessary theological additions to Article V. In this view, these texts are utilised to determine how Article V is to be understood and interpreted throughout the whole of Christendom. The formal principle is deeply respected in the way these texts, along with other passages, are quoted (Summary of arguments for the ordination of men only CTICR Final Report 2000). Thesis VI Par 11 is necessary for the ordination of male-only school of thought. It is a sine qua non, an indispensible and essential ingredient. There cannot be any compromise on this theological issue because: if a female is ordained then the Church has acted in disobedience to Christ. Furthermore, in this view a female pastor will desecrate the body and blood of Christ when she attempts to consecrate the bread and wine. In this view, a female pastor cannot properly or validly nurture the faith of the faithful because her ministry is invalid due to her disobedience to Christ’s command. Indeed, in ordaining a woman, the church itself is acting in a way that is disobedient to Christ’s command. For this reason the LCA Ordination Consensus Task Force Report 2009 was asked to research and investigate the validity of a believer’s faith if it is nurtured by female clergy (Recommendation 9c. 4). That such a question should be asked indicates that, in the male-only school of thought, the Holy Trinity cannot condone the ordination of a female pastor and will not work in a salvific manner through her ministry of Word and sacrament. It follows from this approach that the good fruit and good works so eloquently described in Article VI cannot be nurtured by the Spirit of God because the Spirit of God cannot act in disobedience to the command of Christ. Therefore the fundamental importance of ordaining males only for this school of thought cannot be underestimated because the office of the ministry loses its validity when a female is ordained. Furthermore, in this view the parishioners of a female pastor do not obtain the faith so eloquently described in Article V. They are not freely justified for Christ’s sake through faith. They are not received into favour with God. Their sins are not forgiven on account of Christ and their faith in Christ is not imputed as righteousness in the sight of God. God does not give her parishioners the gift of the Holy Spirit through the gospel and the sacraments. In this view, if an ordained female pastor baptises a child, then the baptism of that child is invalid because her Word and sacrament ministry are invalid on account of her disobedience to Christ and the Holy Spirit cannot disobey a command of Christ. For this school of thought it is a matter of conscience and obedience to the command of Christ (Recommendation 6 SECTION 4 E). Consequently, male-only ordination is necessary for the ministry of salvation, the office of the ministry, because the efficacy of Word and sacrament ministry is annulled by disobedience to Christ’s command. In this view the material principle is not distinct from, but dependent upon the formal principle, that is, obedience to the written Word of God as recorded in the two texts cited in Thesis VI par 11 is required. In summary, the work of Christ is conditional upon obedience to the word of Christ as understood by this school of thought. A specific way of interpreting 1 Cor 14:33b-38 and 1 Tim 2: 11-14 defines what it is that must be obeyed. At this point in time, it is not a matter of in statu confessionis for those who belong to the school of thought which advocates the ordination of women because the ordination of women is regarded as a matter of church practice and belongs to adiaphora. In this school of thought the validity and efficacy of the office of the ministry are dependent solely upon the work of God Father, Son and Holy Spirit alone through the Word and the sacraments. However, if it is maintained that Thesis VI par 11 must be regarded as having the same status as the Creeds and Confessions for the future of the LCA, in other words as an article of faith by which the church will stand or fall (in statu confessionis), then we have entered new territory because, in the view of the male-only school of thought, Thesis VI par 11 is essential for both the validity and the efficacy of the office of the ministry. The ordination of males-only thereby becomes a third mark of the presence of the true church in the world. The matter would certainly need re-examination because it discloses a fundamental difference between the two schools of thought which the search for consensus could never overcome or ignore as a core issue. The CTICR certainly would need to discuss such a theological development. The key question for the LCA is: Is Thesis VI par 11 necessary for the ministry of salvation, that is, for obtaining the faith and good works so eloquently referred to in Article V? While it is clear that the two schools of thought both confess the ‘divinely inspired, written and inerrant Word of God … as the only infallible source and norm for all matters of faith, doctrine and life’ (Article II, LCA Constitution) nevertheless, the difference between the two schools of thought can be seen in their respective exegetical conclusions and their application for the life of the LCA. These two texts are to be interpreted in the light of the whole Scripture, which is the inspired Word of God. Christ and the gospel he proclaimed are the heart and centre of the Scriptures. Their purpose and goal is that sinners be justified. For that reason Christ instituted the office of the ministry and calls people to serve as pastors in the church. To argue in this way is not to reduce Scripture to gospel alone, but to make the gospel and its proclamation the basis for the church’s practice (CTICR 2006 par 7). In this school of thought St Paul’s statements are interpreted as pastoral statements for a particular context. They are not understood as a command of Christ for all times and places (CTICR2006 par5). Consequently, the validity and efficacy of the ministry of Word and sacrament are not dependent upon the ordination of men only, that is, dependent upon the gender of the ordained pastor, but solely dependent upon the work of the Holy Spirit who works where and when he wills in those who hear the Law and the Gospel proclaimed, the message of justification by grace through faith in Christ. The salvific work of the Holy Trinity is not conditional upon the specific interpretation of what it means to obey this command of Christ held by the male-only school of thought (1 Cor 14:33b-38 and 1 Tim 2: 11-14). When all Scripture is interpreted within the compass of the formal principle and the material principle, it is seen that the salvific work of the Holy Trinity is conditional only upon: (i) preaching the gospel (ii) baptising people in the name of the Father and of the Son and of the Holy Spirit and, (iii) celebrating the Lord’s Supper – “Do this in remembrance of me”. In this school of thought the weight falls on these commands which are essential to the Office of the Holy Ministry because through these means of grace, the Word and sacraments, God gives the Holy Spirit who works the gift of saving faith, when and where he pleases, in those who hear the Gospel (Augsburg Confession Article IV and V). Thesis VI Par 11 is not necessary for the ministry of salvation in this school of thought. It is not an indispensible and essential ingredient for the office of the ministry. If a female is ordained then the Church remains faithful to its Lord. In this view a female pastor will not desecrate the body and blood of Christ when she consecrates the bread and wine. In this view, a female pastor properly and validly nurtures the faith of the faithful. The good fruit and good works so eloquently described by the reformers in Article VI will be nurtured by the Spirit of God because the Spirit of God acts in conformity to the command of Christ to preach the gospel and administer the sacraments. The office of the ministry of an ordained woman does not lose its validity and efficacy. Furthermore, in this view the parishioners of a female pastor obtain the faith the reformers so eloquently describe in Article IV. They are freely justified for Christ’s sake through faith. They are received into favour with God. Their sins are forgiven on account of Christ and their faith in Christ is imputed as righteousness in the sight of God. God gives her parishioners the gift of the Holy Spirit through the gospel and the sacraments. In this view, if an ordained female pastor baptises a child, then the baptism of that child is valid because her Word and sacrament ministry is validated by Christ, and the Holy Spirit works through the command of Christ to preach the gospel and administer the sacraments. The Augsburg Confession Articles IV, V and VI are understood to be theologically coherent and consonant not because of a teaching about ordination but because of the focus upon the salvific work of the Holy Trinity who chooses to work through the Word and sacraments freely justifying parishioners for Christ’s sake in those who hear the Gospel. What brings about the difference in the two schools of thought is the role which the formal principle and the material principle play in the formation of exegetical and pastoral conclusions. This is the issue that needs to be re-examined. This issue is of such significance that it should be a matter that is returned to the CTICR for examination. The work of the CTICR thus far has been helpful, enlightening as well as satisfactory because it has revealed to all of us how our theologians clearly respect the formal and material principle throughout their work, even though they arrive at different exegetical conclusions which have significantly different pastoral implications for the life of the LCA. It has made us aware of a critical matter for the whole church to prayerfully consider. Is the view of ordination expressed in Thesis VI par 11 necessary for the ministry of salvation, the proclamation of the gospel and the administration of the sacraments? It is clear Thesis VI par 11 expresses the historic tradition of the church in that it is utilised in support of the ordination of males only. It is also clear it was necessary for the union of the two Lutheran Churches in 1966. It now has become clear that the CTICR2000 Final Report and the subsequent Synods have revealed there are two schools of thought in the LCA which have arrived at different exegetical conclusions. These conclusions have significantly different pastoral implication for the life of the LCA. Our best theological minds from a cross-section of the membership of the LCA, both male and female, should be given this work to do. The CTICR not only fulfils those criteria because it has such a combination of theological expertise and a cross-section from the membership of the LCA. This is also a matter for consideration at all Pastors’ Conferences and District Synods because it concerns the future identity and direction of our LCA. Finally, the supporters of the school of thought which advocates the ordination of men and women and who formulated the Resolutions put forward by St Peters believe that these Resolutions are consistent with making a distinction between the formal principle and the material principle for Lutheran hermeneutics. They are also consistent and in harmony with The Augsburg Confession Articles IV, V and VI. They emphasise the connection between the work of the Holy Trinity and the office of the ministry in Articles IV, V and VI. They distinguish between Law and Gospel when applying 1 Cor 14:33b-38 and 1 Tim 2: 11-14 to the life of the LCA and do so in the light of the doctrine of justification by grace alone, through faith alone, in Christ alone. They propose nothing at all that is contrary to the Lutheran Confessions. They are also respectful of LCA Constitutional processes which are synodical. Consequently, it is not necessary for salvation that the LCA ordains males only for the office of the ministry. The validity and efficacy of the ministry of Word and sacrament in the LCA are not dependent upon the gender of the ordained pastor. Therefore a change can be implemented with regard to the practice of ordination in the LCA which is mindful and respectful of the importance 1 Cor 14: 33b-38 and I Tim 2: 11-14 have had for church order in the 1st century and throughout the history of the Christian Church including the various synods of the Lutheran Church which came to Australia. The resolutions are particularly mindful of the importance these texts had for those synodical discussions which led to the formation of the LCA in 1966. Is the view of ordination expressed in Thesis VI paragraph 11 necessary for the validity and efficacy of the ministry of salvation as formulated in The Augsburg Confession Article V? How that question is answered will determine whether or not consensus is possible. Throughout this essay wherever the terms material principle and the formal principle are used, they will carry these meanings. The wisdom and capacity to make this distinction does not reside in the gender of the pastor. The gender issues confronting the reformers were significantly different and quite radical: celibacy in the priesthood and monastic orders, marriage and the priesthood, and, whether or not monks and nuns from the various monastic orders could marry. Have you ever felt uneasy when politicians are being interviewed, listening to them ignore the questions and skirt around the issues? When journalists persist, they often simply say the same thing again and again using different words? Phillip Adams of Late Night Live on Radio National loves to point out the BS that politicians eternally speak to the electorate. That’s what comes when individuals are obliged to toe the party line. In contrast, we have the independents who call a spade a spade. You know exactly what they think and where they stand. It seems to me that the honest, straight-talking manner of the independent Nick Xenophon was the reason the electorate voted him into the Australian Senate in the penultimate elections four years ago. The topical current group of Federal independents also exude an honesty and clarity of thought that is refreshing in the context of the adversarial two-party political system in Australia. “… no longer Jew or Greek, there is no longer slave or free, there is no longer male and female; for all of you are one in Christ Jesus”. Years from now my children might find letters I wrote to my husband when we were courting. There were things that I wrote to him concerning our faith, our love and our future together which are timeless. They will be edified in reading it. But there are many things I wrote which will have little application because they were written to him at that time and for a specific reason. Now I know that the Epistles are far grander than my old love letters. I know that God has inspired Paul. But they are still letters. Surely we can discern what is meant to apply for all time and what was written to address specific situations. Scripture cannot be read for a literal translation. Hermeneutics is no easy discipline but there are many contextual factors contributing to a text that may not apply today. For example, on the surface, 1 Timothy 2:12 would seem to be clear in prohibiting women’s ordination. 2:11 Let a woman learn in silence with full submission. 2:12 I permit no woman to teach or to have authority over a man; she is to keep silent. What was in Paul’s mind as he wrote to the pastor at Ephesus? We can take some of his words in isolation and assume that they are the only truth. Here Paul says that he doesn’t allow a woman to teach. But the facts are that he did. He commended them for their teaching in other passages, called them “coworkers (Rom 16:3), and allowed other men to receive instruction from women (Acts 18:26). That suggests that there is more to what Paul is saying than isolated verses read through our own cultural set of lenses. Paul, despite 1 Timothy 2:12, allowed women to teach and to share their wisdom. Again and again we have examples from the New Testament where women were prophesying, speaking up, teaching and leading. Enough twisting of the text! Enough denying the hermeneutical tools that Biblical scholars have brought us in recent generations! Enough clinging to the maxims of Conservatism, which suggest that ways of old have inherent value simply because they have been handed down to us! God is alive and walks amongst us, revealing a new creation and a new revelation of God’s presence on Earth. What is there to fear? I worked in a church where the minister told me that he would never tell his congregation that scholars think there were three different authors of Isaiah. He considered that such Biblical research would threaten the faith of his people. Fear is alive and well in many shapes and forms, not least amongst God’s people. If we are true to this Jesus, however, who we witness to as our saviour, and who announced the in-dwelling of God’s Spirit, we are called to face our fear and be open to how God is revealing God’s self to us this day. Long before the life of Jesus we are given a vision of the work of the Spirit in womanhood (and manhood). “Your sons and daughters will prophesy!” Scripture is abundantly clear! Enough of the qualifying clauses! Enough revisionism. The Holy Spirit is clearly and unarguably alive in women so that they might prophesy. The debate is over! So, how to assess the opposing interests in the women’s ordination debate in the LCA? Look around you. Do justice and walk humbly with your God. On your trip you are bound to see the gifts of women rain blessings on all. If you found this post useful, consider subscribing to this blog for free.